House Staking is very important step in the construction process, that is where foundation of the building will be on your parcel of land within building setbacks. All other building finishing’s take place after foundation construction and we can not emphases enough – how important is to have foundation in the right place. You might ask us: “Who in the world would not follow guide lines and take risks?” Oh well, we have seen cases where builders would assume proposed location and lay out building in the entirely wrong place themselves and you probably image for yourself how expensive it is to remove the building and start all over again. 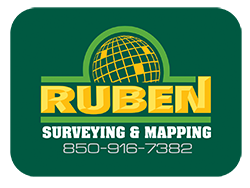 Ruben Surveying & Mapping, Inc.